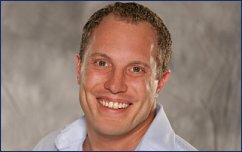 Matt McDonald apparently won't be available to compete in potential future Big Brother all-stars edition anytime soon. Big Brother winner Adam Jasinski is going away to the big house. Adam Jasinski apparently wasn't the only former Big Brother ninth-season houseguest involved in an alleged drug trafficking ring. Matt McDonald was apparently arrested for the second time in three days. Another former Big Brother ninth-season houseguest is apparently in trouble with the law. Adam Jasinski is out of the big house. Adam Jasinski is being released on bail, but not before he has to undergo substance-abuse counseling. Adam Jasinski is apparently finding life in the big house a bit more difficult than life in the Big Brother house. Adam Jasinski better get comfortable behind bars. Adam Jasinski's detention hearing has reportedly been postponed. Former Big Brother winner Adam Jasinski has been arrested for attempting to sell 2,000 oxycodone pills as part of a drug trafficking operation he allegedly financed with his $500,000 grand prize. Joshuah Welch went eight weeks without finding himself on the chopping block before he became the fifth individual houseguest evicted from Big Brother's ninth season. Adam Jasinski thought he had a good chance of exiting the Big Brother house as the ninth-season winner, but didn't want to get his hopes up too high. Adam Jasiniski was crowned Big Brother's ninth-season winner during last night's live finale broadcast of the CBS reality show. Sheila Kennedy became the ninth individual houseguest evicted from Big Brother's ninth season during last night's live broadcast of the CBS reality show. Sharon Obermueller became the eighth individual houseguest evicted from Big Brother's ninth season during last night's live broadcast of the CBS reality show. Natalie Cunial was playing too many sides too late in the game, and the 28-year-old bikini barista from Salem, OR became the seventh individual houseguest evicted from Big Brother 9 during last night's live broadcast of the CBS reality show.